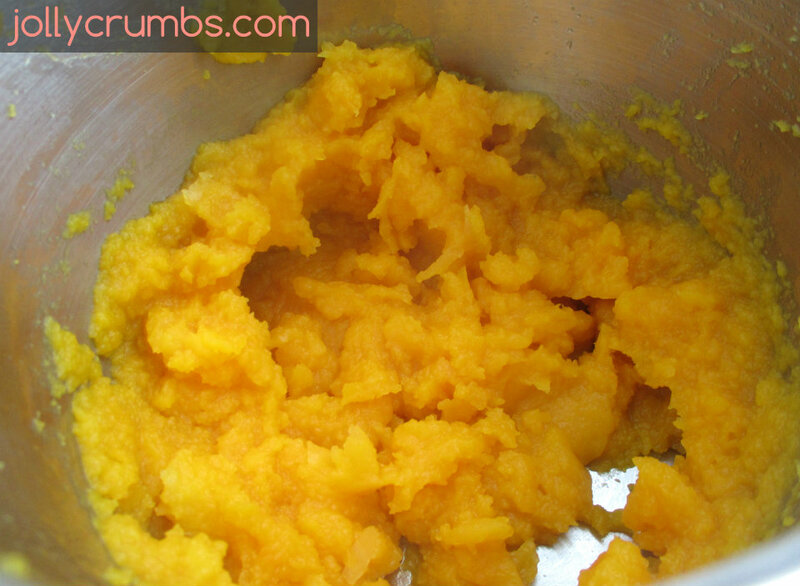 I’ve posted quite a few recipes which involve butternut squash. It’s a very versatile vegetable. In this recipe, it is blended to make a creamy sauce. This is a very flavorful pasta. It combines the light onion flavor from the leeks, tang from the Parmesan cheese, and an earthiness from the fresh sage. The sauce may not seem like much, as it is very easy to put together, but the flavors all work together well. This would be a great sauce on any pasta, not just spaghetti. Add pasta to the boiling water and cook according to package directions. Reserve 1 cup of the pasta water before draining. Meanwhile, in a large deep non-stick skillet, melt the margarine. Sauté the leeks and garlic over medium-low heat until soft and golden, about 5 to 6 minutes. Bring a large pot of salted water to a boil. 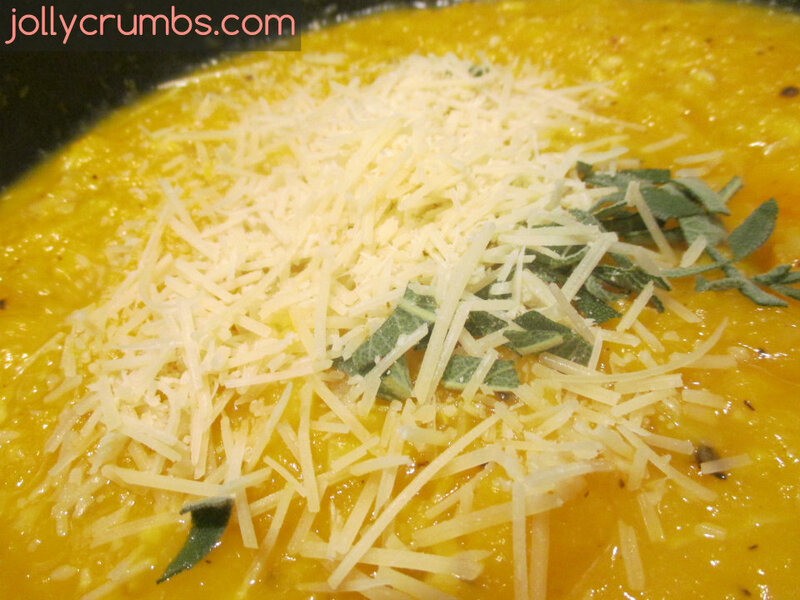 Add butternut squash and cook until soft, about 10 minutes. Remove squash with a slotted spoon and place in pot and blend with immersion blender, or add squash to a blender and blend until smooth. Add pureed butternut squash, season with salt and fresh cracked pepper, and add a little of the reserved pasta water to thin out to your liking. Stir in Parmesan cheese and sage and mix in pasta until well coated. Serve with additional Parmesan cheese on the pasta. This pasta dish is such a great alternative to spaghetti with red sauce. The sauce for the spaghetti has a great range of flavors. It has a light onion flavor from the leeks. There is also a tang from the Parmesan cheese and a deep richness from the fresh sage. 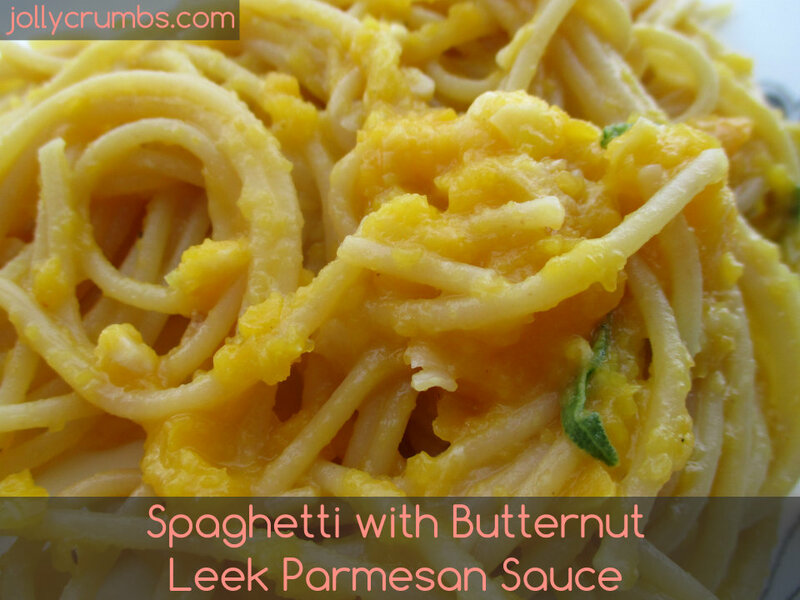 The butternut squash provides the wonderful, creamy base for the sauce. The squash doesn’t add sweetness to the sauce though. I’m a big fan of using butternut squash in unusual ways. This is one of my favorite ways to use it. The sauce reminds me of Thanksgiving flavors. So if you are looking to an interesting alternative to traditional red sauce or Alfredo, this would be a wonderful sauce to try. Add pasta to the boiling water and cook according to package directions. Reserve 1 cup of the pasta water before draining. Meanwhile, in a large deep non-stick skillet, melt the margarine. 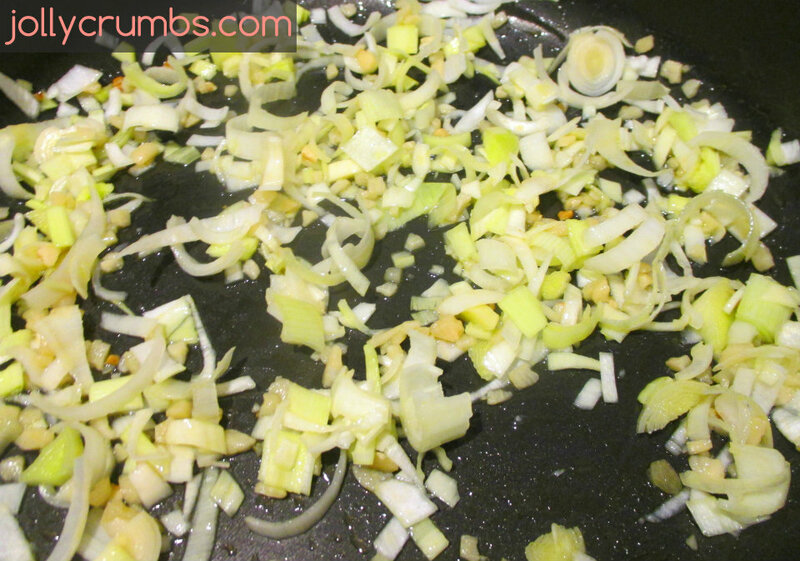 Sauté the leeks and garlic over medium-low heat until soft and golden, about 5 to 6 minutes. Add pureed butternut squash, season with salt and fresh cracked pepper, and add a little of the reserved pasta water to thin out to your liking. Stir in Parmesan cheese and sage and mix in pasta until well coated. Serve with additional Parmesan cheese on the pasta.